Our day of skiing did not start out promising. The skies were gray and rain was falling as we made our way to the aerial tramway at 8:00 AM this morning. However, by the time we were issued our boots, skis, and helmets at the Ober Gatlinburg facility; the rain had stopped and the overcast was clearing. Before long, the sun peeked over the mountaintop and heralded the start to a beautiful day. as we start our ascent to Ober Gatlinburg. 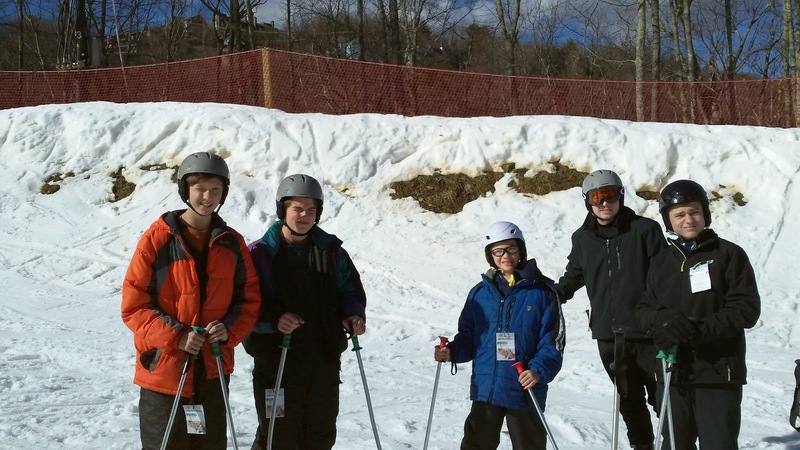 While the more experienced skiers headed straight out to the slopes, most of the Scouts attended ski school to learn the basic skills they needed to know before their own travels across the snow. While most picked it up pretty quickly, there were a few Scouts (and some adults) who spent more time horizontal in the snow than upright on their skis. However, as the morning wore on, the balance and confidence began to emerge, allowing most to claim some measure of success. under the watchful eye of the ski instructor. At lunchtime everyone came in from the slopes to refuel, rest, and refit. Although there had not been any problems, the Scouts seemed to have trouble remembering to stay with a buddy. It was easy to become separated during a ski run and several had lost track of their assigned buddy. During lunch, the leadership reiterated this safety requirement and in the afternoon this was not as much of an issue. Despite the crowds during the holiday weekend, the skiing was great and the opportunities for fun were numerous. 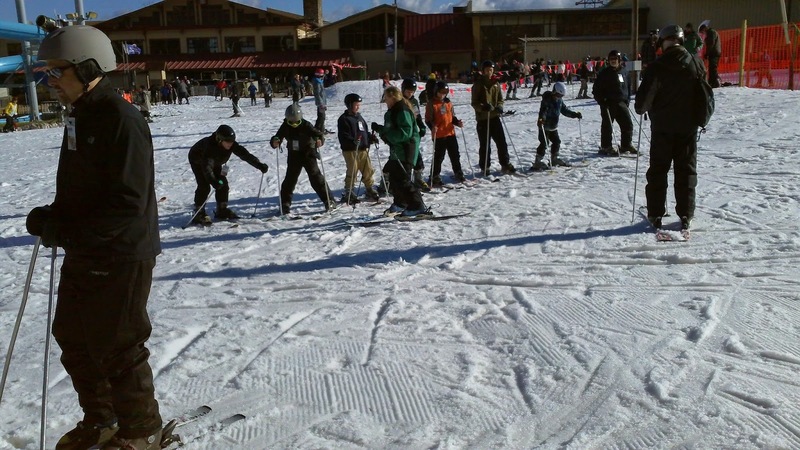 In addition to skiing, Scouts also had the option to go ice skating, ride a scenic chair lift to the top of the mountain, or visit the wildlife exhibit. They also took advantage of the numerous eating establishments to fulfill a need for something to snack upon. top of an intermediate slope before beginning their descent. As darkness began to fall, the troop gathered at the Seasons of Ober restaurant to enjoy a good dinner. Many elected to try one of the more unusual menu items - mac & cheese stuffed chicken. The verdict seemed mixed, with several claiming it to be haute cuisine while others were less than impressed. Following the meal, part of the group turned in their equipment and headed back to the motel. The rest of the Scouts, and accompanying adult leaders, stayed out until the slopes closed at 10:00 PM. Everyone has made it back to the motel at this hour and will soon be fast asleep. A hearty breakfast is planned for the morning at the Flapjack House prior to heading back to Auburn. For more photos, check the online photo gallery.